May is always a busy month for the NBA which is why you probably didn’t even notice the announcement back in April that starting with the 2016-2017 season, you will now see advertisements on jerseys. Shortly their after the Philadelphia 76ers announced their deal with StubHub to be the first company with it’s logo on a game jersey. This is a very smart financial move by the NBA and goes right in line with making all their franchises global brands. This is only a three year pilot program but the odds are that this will stick because of the revenue it generates. The NBA has probably realized that the days of escalating TV contracts are probably gone. With that source of revenue probably flat in the future, it behoves the league now to look at other options and that’s exactly what they are doing. To give you some precedent, soccer clubs have been selling the space on the front of the jersey and for big money too. Manchester United sold their space to Chevrolet for seven years and some $560 million. Granted the logo is front and center while the NBA’s will only be 2.5 inches by 2.5 inches so getting the $560 million is gonna be a little tough. In fact the 76ers deal is only worth $15 million ($5 million per the three year pilot program). This sponsorship move by the NBA will only expand. This works for a lot of other sports like soccer, golf and auto racing so it makes sense that it would work in the NBA. It’s hard to image that the NBA would leave revenue on the table especially when the odds are that that revenue number will only increase. So get use to it NBA fans and for you NHL fans, you are probably next. When you stop and think about it for a minute it can truly boggle your mind. Much like a brain freeze from drinking something cold too quickly. That might have been what people had when they thought they were making well informed decisions when it came to scheduling the Stanley Cup Final and the NBA Finals. Game one of the Stanley Cup Final between the Chicago Blackhawks and the Tampa Bay Lightning was played on Wednesday evening. Game two….not until Saturday? Two full days off after playing one game. Strange but when the scheduling also cost the Tampa Bay area a few Garth Brooks concerts…well we are pretty sure that there are some unhappy folks in the Tampa St. Pete area. While Brooks and the venue are trying to find dates to reschedule the shows, we’re pretty sure one show could have fit in if game two was played on Friday instead of Saturday. The NBA Finals are a whole nother story. The Golden State Warriors and the Cleveland Cavaliers potential seven game series is scheduled to be played on Thursdays, Sundays and Tuesdays. It’s bad enough that both teams have been sitting for over a week which we assume is so that both teams could be “healthy”. But in all fairness, is anyone really healthy after an 82 game regular season and three playoff series? There has to be somebody, somewhere who has numbers to back up these scheduling decisions (not to sure about the start time decisions though).The fact is, play the damn games. Do you really think no one watches TV on a Friday night? You also lose the energy around these series when you take these breaks. While it may seem like a smart idea on paper, not having a game on a Friday night and then scheduling one against ‘Game of Thrones’ is just plain dumb. One thing that sports organizations don’t well is embrace new technology. Not many companies do for that matter. Most of the time companies have this knee jerk reaction to new technologies or methodologies and that reaction usually involves lawyers. This is the case with Periscope (and a similar service called Meerkat). Instead of freaking out they should be generating ideas on how to integrate this application as opposed to trying to shut it down. The Mayweather v Pacquiao fight has brought in close to $500 million. That’s half a billion dollars which is revenue than some publicly traded companies generate in a year. 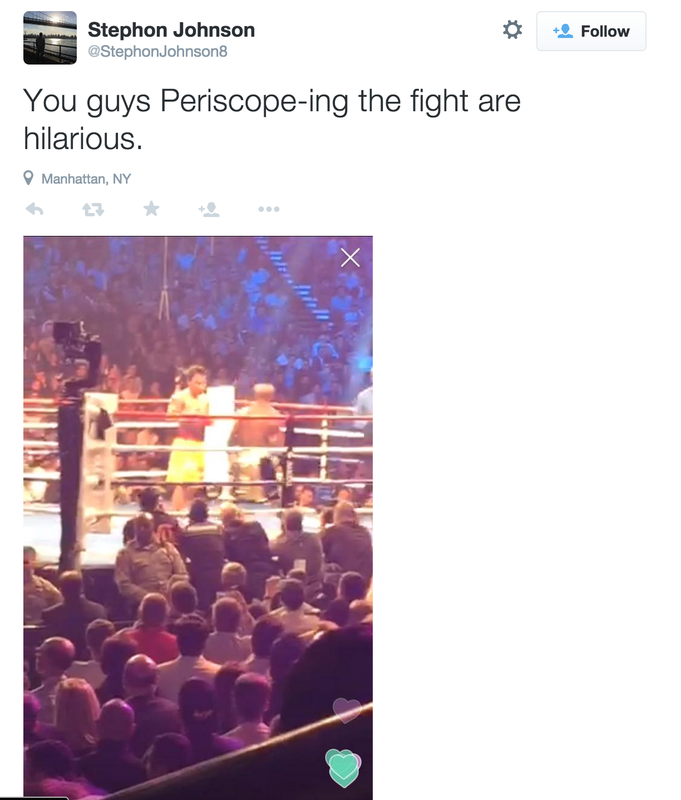 Yet the winner of the fight may have been Periscope. Not only was it it’s coming out party but the promoters of the fight are threatening legal action which always means you did something right. While Periscope may seem like a threat on the surface it really isn’t much of one. So some people watched the fight through the app and didn’t pay for it. That number didn’t effect the overall number of buys (which was around 4.4 million) and those people were either at the fight or watching the fight where someone had already paid for it. While Periscope is a very cool app, it still lacks the video and audio quality that an HD broadcast can deliver. Not to mention the fact that you are relying on someone on the other end to have a steady hand while shooting a TV screen or being at the event. The PGA and NHL have already banned it’s use. The PGA went as far as pulling the credentials of prominent Golf blogger Stephanie Wei then later streamed content through their Periscope PGA account (read Stephanie’s blog post here). The NHL has banned the use in NHL arenas ‘before, during and after the game’. Oh, the NHL, several of their teams and the owner of their American broadcasting rights (NBC) all have their own Periscope accounts. First, if you make a half billion dollars on a fight that went the distance and then it is revealed afterward that one of the fighters had an injured shoulder….you’re not going to find a whole lot of sympathy in the court of public opinion. Second, pulling the credentials of a popular blogger in a slowly dying sport, not the kind of promotion you’re looking for. Besides, she made a conscious effort not to show anything that may have been used in the national broadcast. Is Periscope and Meerkat a threat? Not really. It’s a video version of Twitter which is why Twitter owns it. The fact is people will watch a sporting event on their iPhone however the quality has to be there and you are not going to get solid quality watching from someone shooting a TV screen on their iPhone. Are their uses for this technology, yes! Most of them we haven’t even thought of yet so why take drastic steps now to limit the technology? Let it grow, support it and find out how it can help your business vs trying to play whack-a-mole. As far as the ‘piracy’ aspect is concerned, how about not charging a $100 for a pay-per-view? How bout charging half that and making up the difference in volume? It was, after all, the ‘Fight of the Century’. Periscope and Meerkat are here to stay. How they evolve is the question. That evolution should not be left to entities that see it as a threat. If that were the case then we wouldn’t have airplanes or the internet. Give these technologies a chance to grow and see how they can help vs hurt sports. 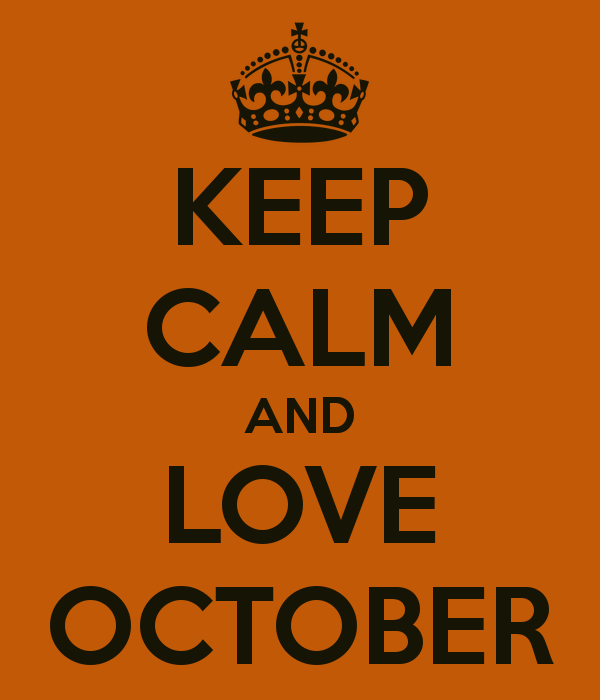 Of all the months during the calendar year, nothing compares to October for sports in North America. It features every single major sport that the continent has to offer. From playoff baseball to playoff rankings in college football and the beginning of a new season for the NHL and NBA. October has it all. MLB Playoffs kicked off Tuesday night with the AL Wild Card match up between the Oakland A’s and KC Royals. The NL Wild Card between the SF Giants and the Pittsburgh Pirates takes place on Wednesday. Those two games get things started and it all culminates with the World Series which gets started October 21st. College Football will get into mid season form with more of the traditional conference match ups that we’re use to seeing. On October 28th the first set of playoff rankings will be released. Moments later people will claim that the sky is falling. The NFL will hopefully have a better October than November. In any event you do have some fun match ups like the 49ers at Broncos and Packers at Saints. MLS heads into the stretch run as teams fight for playoff position. The regular season ends October 26th but that only signifies the beginning to a great playoff season. This years playoffs should include some very popular names and the end of Landon Donovan’s spectacular career. 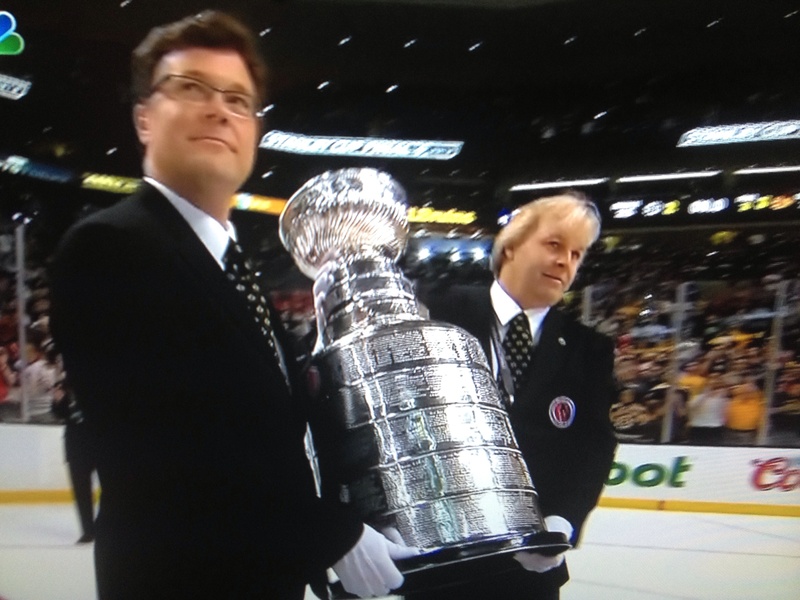 The NHL is heading into a season with the LA Kings as returning champions….again. The puck drops on the regular season on October 8th. Meanwhile the NBA tips off on October 28th with the San Antonio Spurs looking to defend their title. 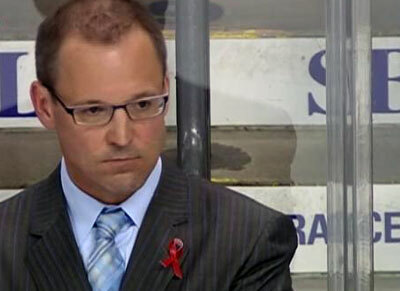 Dan Bylsma was let go yesterday by the Pittsburgh Penguins. It marks the end of a tough six months behind the bench for the Penguins and for Team USA in the Winter Olympics. Bylsma is the winningest coach in Penguins history (252-117-32) and lead them to a Stanley Cup in 2009 (albeit he came on in February of that year.) But blowing a 3-1 series lead to the New York Rangers may have sealed his fate. The fact is that Bylsma couldn’t get the Penguins back to the Stanley Cup Final even with players like Sidney Crosby and Evgeni Malkin on the ice. While these players have had injuries over the years (Crosby missed most of the 2010-2012 seasons with concussion type symptoms) the Penguins were still a force to be reckoned with and were always an odds on favorite to win the Cup. Two other things didn’t help Bylsma the first six months of this year. First was the non-medaling performance by Team USA in the Winter Olympics and then a 5-1 shellacking at the hands of the Chicago Blackhawks on national TV during the Stadium Series. Bylsma probably won’t be out of work for very long since there are three teams besides Pittsburgh looking for head coaches right now. While the Penguins organization felt that a change needed to be made the move also points out again that sports is a ‘what have you done for me lately’ business. Yes the expectations are high in Pittsburgh and they should be. Look at the team they have now and the history they have. So remember that while you may hear buzzwords like ‘fail fast’ going around right now, you can only fail for so long before you have to pay the piper. On Wednesday night the New York Rangers will square off against the Los Angeles Kings in the 121st edition of the Stanley Cup Finals. While on paper this may appear to be a great matchup for the NHL with the teams from the top two TV markets squaring off but it could have been better if neither team was in it. The Kings defeated the defending Stanley Cup Champion Chicago Blackhawks in a thrilling game 7 overtime game on Sunday night. It would have been better for the NHL if the Blackhawks won because they are a bigger TV market when it comes to hockey. In fact Chicago out did the LA as far as viewers are concerned during game 7 by a wide margin. The Rangers are the Rangers. New York has a tendency to rally around their teams, and not just in New York City. The Buffalo Sabers actually came in second as far as local TV ratings go in the NHL this seasons despite finishing dead last in the league. The Rangers will probably hold their own but that doesn’t mean that the countries number one TV market always turns out in droves for a New York area team. Take 2012 when the Kings won their first Stanley Cup at the expense of the New Jersey Devils (who play in Newark, NJ which is in the New York City TV market.) The highest rated game for that series was the decisive game 6. That game did a 3.1 rating. That only would have been the fifth highest rated game in the 2013 Final when Chicago defeated the Boston Bruins in six games. If the NHL could pick the two teams in the Stanley Cup Final based on TV ratings in the US, it would be a matchup between the Pittsburgh Penguins and the Chicago Blackhawks. Both crush their local TV numbers and have players and brands that transcend the sport. 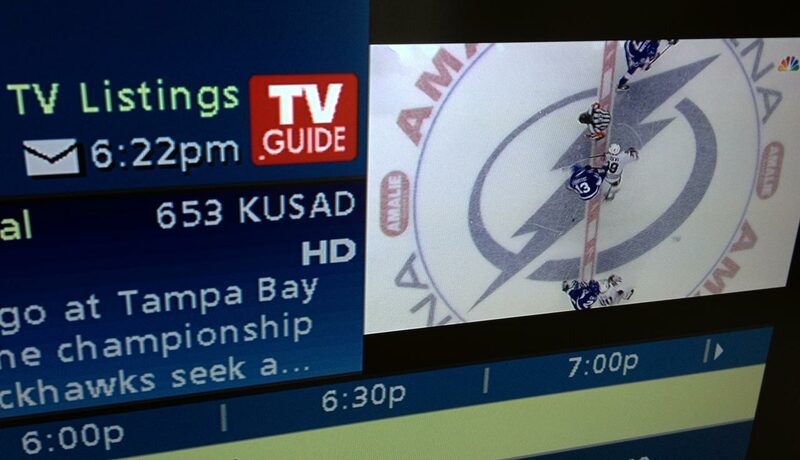 The fact is the NHL is happy with a Stanley Cup Final featuring teams from the two biggest TV markets in the US. Next time, they should look at their numbers and realize, like the NFL has, that LA isn’t all it’s cracked up to be and it’s better to have a matchup between Original Six teams. In the wake of the Donald Sterling incident, the NBA Playoffs have almost become an after thought. While it is a shame that the game itself gets overlooked, times like these also allow us to appreciate some of the things that do take place in sports. Things like the handshakes at the end of a Stanley Cup Playoff series. It is tradition that at the end of a playoff series the two teams line up and shake hands. It’s a tradition that pre-dates the NHL and an important one at that. It shows respect. Even players who went toe-to-toe and smashed each other into the boards over seven games still shakehands. The world isn’t perfect and neither are sports. But we will continue to watch sports especially when respect is shown between teams. It doesn’t have to be extravagant. A handshake will do. Be advised, March Madness is in full swing. See it on TV and online throughout the weekend via CBS and Turner. Chelsea vs Arsenal – 5:45am NBCSN: All aboard for some top flight soccer on a Saturday morning! Tampa Bay Lightning @ Pittsburgh Penguins – 10am NHLN: If ice, sticks and some of the world’s best players is more your thing then the NHL Network has you set on Saturday morning. Montreal Canadiens @ Toronto Maple Leafs – 4pm NHLN: It’s the Habs vs the Leafs. They are both in playoff contention at the end of March. You’re welcome. LA Galaxy @ Real Salt Lake – 1pm NBCSN: RSL has been nothing but good over the last four or five years. But so have the Galaxy. It’s a display of some of the leagues best players and two teams that don’t seem to like each other very much. St. Louis Blues @ Pittsburgh Penguins – 10am NHLN: Two of the best teams in the east face off in Pittsburgh. Real Madrid v Barcelona – Noon beIN Sports: El Clasico is on. Messi, Ronaldo, Bale, Fabregas and then some. See two of the best clubs square off with some of the best players on the planet. Dan Henderson vs Shogun Rua – 4pm FS1: The last fight between the two was, in some circles, the best MMA fight…ever. So don’t miss rounds 6-10.